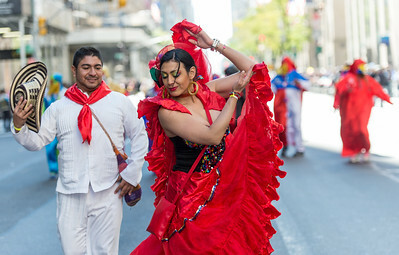 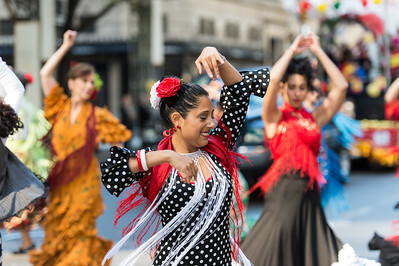 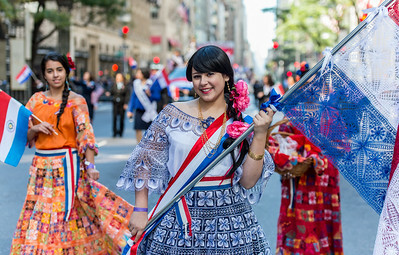 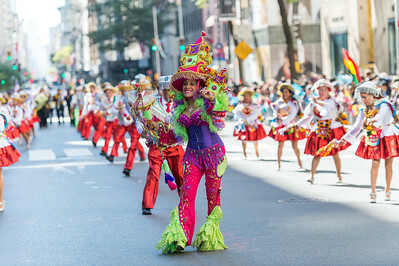 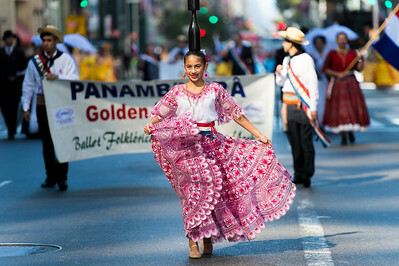 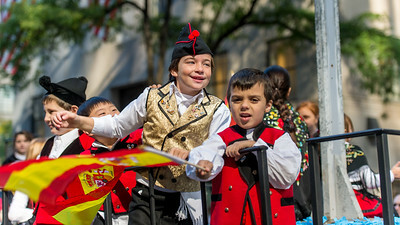 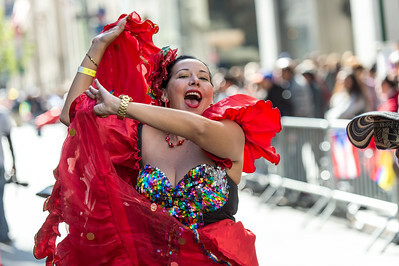 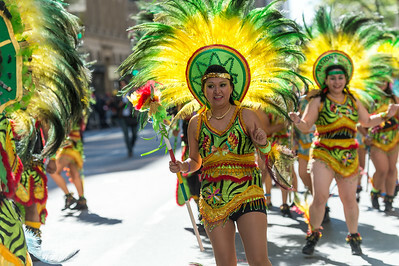 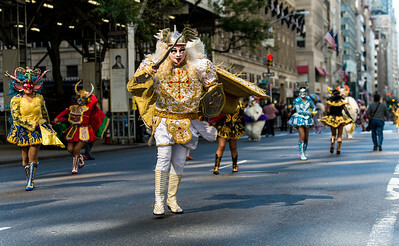 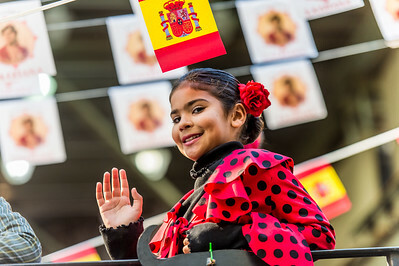 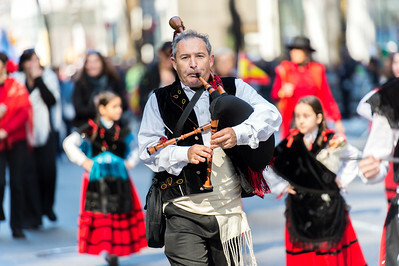 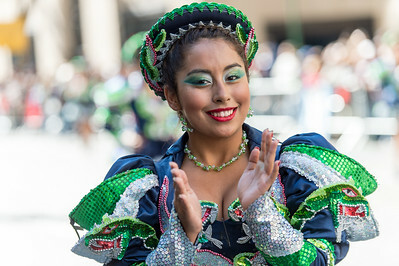 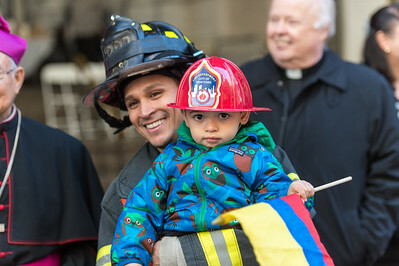 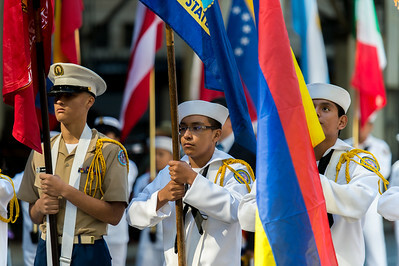 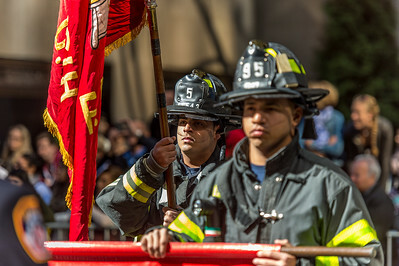 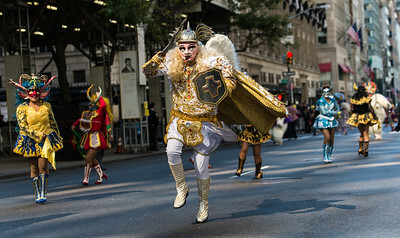 Hispanics from all over the world have congregated on Fifth Avenue in New York City, as they do every October since 1965, for the colorful Hispanic Day Parade to celebrate Latin American, Spanish and Latino cultures and traditions. 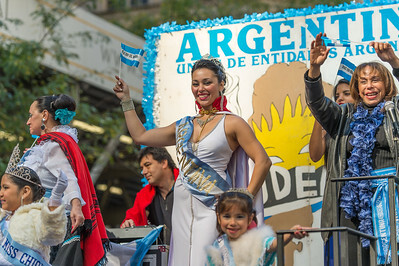 The Queen of the Parade is seen on a float with a Uruguayan flag. 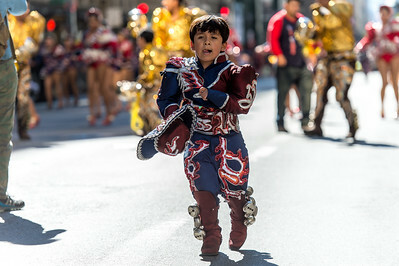 Young Flaf bearer headling the Paraguay delegation. 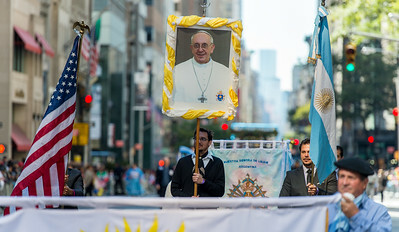 The Argentinian members of the parade celebrating Pope Francis roots. 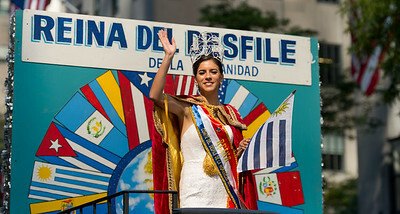 Reina UDEA, Union De Entidades Argentinas, during the parade. 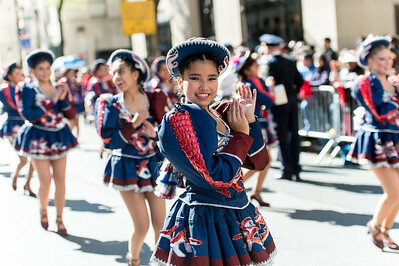 Dancers from the Fraternidad Sr. de Exaltation. 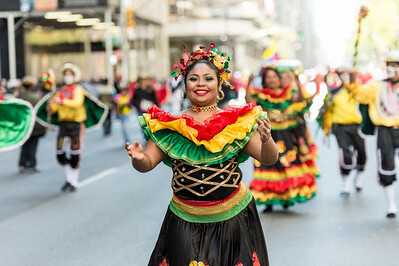 Kullwada - Los Rebeldes, NY. 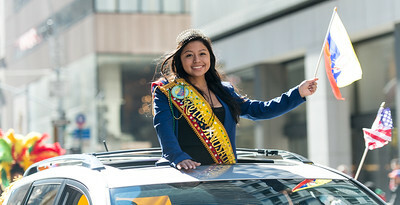 The Miss Passion Boliviana headling the Bolivian cultural float. 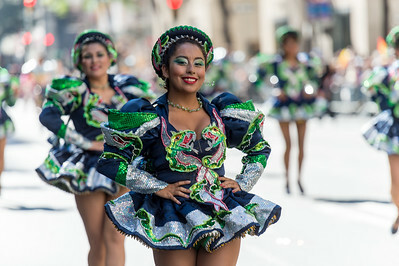 Bolivian dancers in the parade. 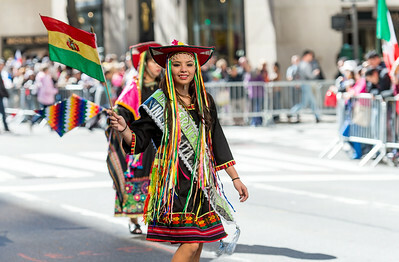 Young Bolivian dancer in the parade. 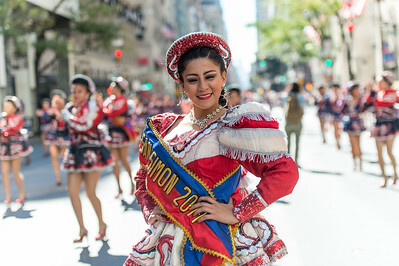 Miss Caporales de San Simon. 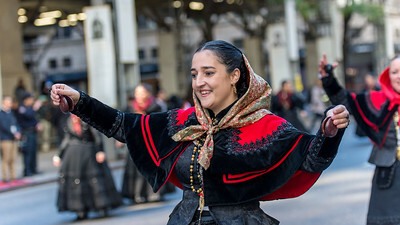 Beautiful dancer of the Caporales de San Simon. 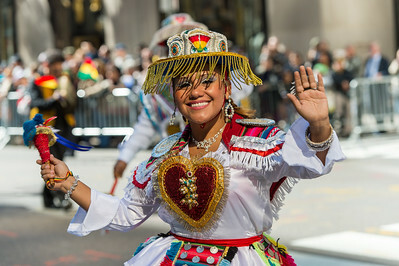 Colombian dancer in traditional costume. 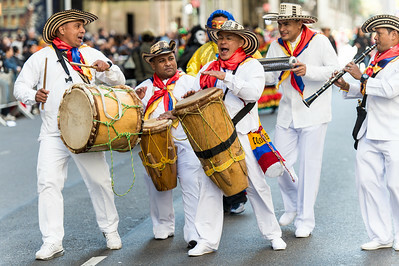 Colombian drums band in traditional costume. 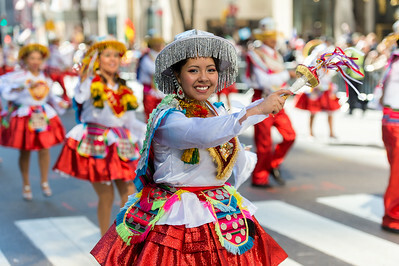 Colombian dancers in traditional outfits. 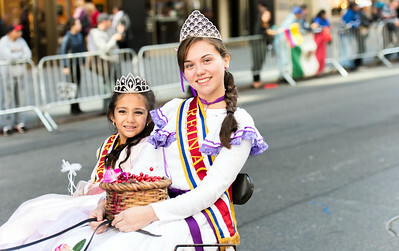 The Costa Rican junior Queens. 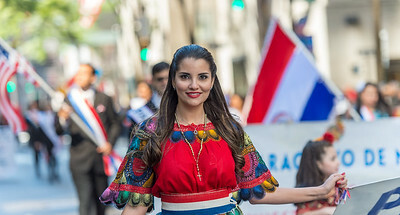 The Dominican Queen headlining the Dominican delegation and dancers. 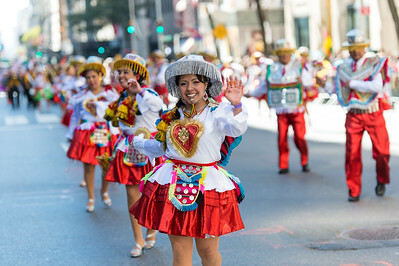 The Equadorian parade Queen heading the Equador marchers and dancers.